Music, word, murmur - stratified and contrasted with the sound naturalism obligatory in Polish cinema, gave rise to a completely new path of film acoustics development, which ceased to be only a sincere mirror and became a conscious element in the creation of psychic reality. 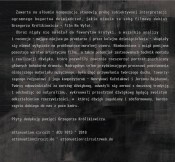 The musical material contained in the album is an attempt to subjectively interpret the huge wealth of experience brought by the film debut of Grzegorz Królikiewicz - the movie Na Wylot. Movie has never belonged to the favorites of critics, and all analyzes and reviews - which took place after the premiere and for the next decades - focused almost on the problems of the moral work. The artistic layer of the film remains underestimated and still overlooked, as well as the potential of the techniques used to assemble and execute the sound, which allowed to significantly extend the psychological portrait of the main characters of the drama. The overriding aim of the process of creating this musical material was the desire to evoke the creative spirit accompanying the director and his composers - Henryk Kuzniak and Jerzy Hajdun. The creators responsible for the sound layer, dared to break with the contemporary tradition and departing from naturalism, created a sound space that is a kind of deformation of reality in which the lost and deformed sound often reaches us from outside the frame. The basic assumption of the project "Dzwieki z Offu" is to bring the audience to the figure of Grzegorz Królikiewicz - director, screenwriter and professor of film arts associated with Lodz. 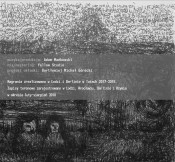 The film debut of the author, made at the WFDiF Film Laboratory in Lodz, was an absolute sensation at the time of the premiere on the background of Polish cinematography. 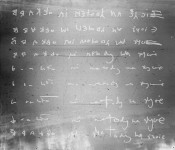 This was due to the use of innovative techniques for the implementation and assembly of sound, as well as artistic experiments in combining the sound layer with the image. Adam Mankowski - born in 1985, lives and works in Lodz. A sound artist, improviser, independent music journalist and photography enthusiast. 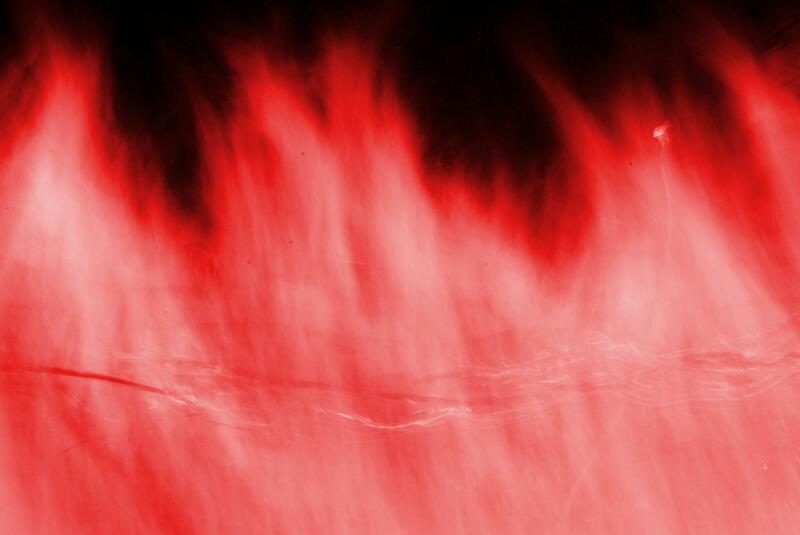 An insightful observer of newly emerging music phenomena of an avant-garde character. Since 2006 he has been continuing his solo music activity under the name - Limited Liability Sounds. 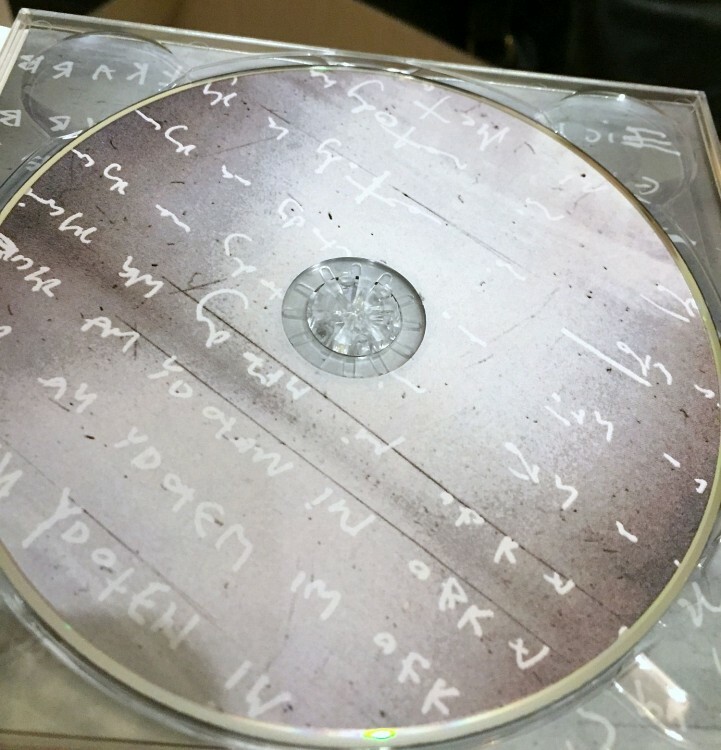 He moves in the genere of improvised, experimental and intermedia music. He co-founded the experimental duo Scindite (2014-2015) and the ambient project Insomnia (2005-2012). Winner of this year's artistic scholarship, Mayor of the City of Lodz. 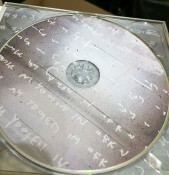 I dedicate the album to the memory of Grzegorz Królikiewicz. 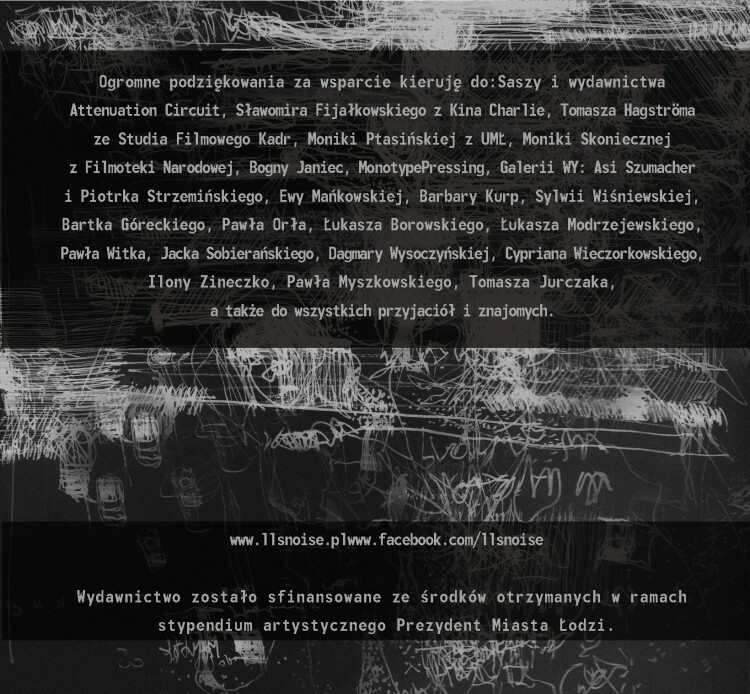 Music material will be complemented by a sound installation presented in the Lodz WY gallery on November 23, 2018. 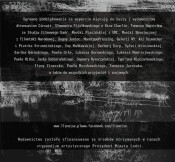 Release was financed with funds received as part of the artistic scholarship of the Mayor of Lodz. This name you may not recognize straight away, but before Adam Mankowski worked as Limited Liability Sounds and as such reviews of his work appeared in Vital Weekly (Vital Weekly 1070 and 905). In the first, he played homage to Luciano Berio. 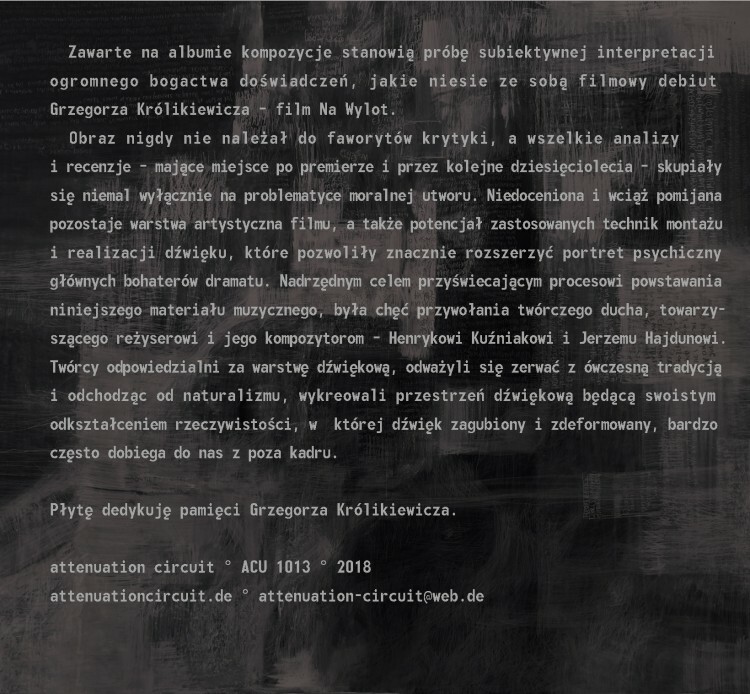 This new work deals with the debut film of Grzegorz Krolikiewicz, 'Na Wylot', which apparently wasn't too well received. This according to the information I got along with this release, as I never heard of this, or seen the movie. Apparently, there is a "new path of film acoustics", "which allowed to significant extent the psychological portrait of the main characters of the drama". Alright, I'd be happy to take their word for it, even when it makes considerations about the music not easy. I can only judge it on the basis of what I hear. The nine pieces here present an interesting mixture of musique concrete manipulation of acoustic sounds, sampled and resampled, along with the crackles of old vinyl and rhythms from various machines. In the opening 'Bez Wyjscia' that results in a trip-hop approach, while 'Tam Byta Milosc' has a very dub like character; the rhythms that are as he spins rather musique concrete like sounds around it. That is a pattern for more pieces actually. There is a melodic touch to be noted in these pieces, via rhythm, sampled piano sounds, church bells, synthesizers and woven into the fabric of field recordings, acoustic objects being sampled and some highly processed computer sounds. As I said, it is very hard for me to judge in relation to the filmmaker and his debut film, but hearing the music independently, I'd say, it is all a most decent job, even when it's not the most original things you can hear. 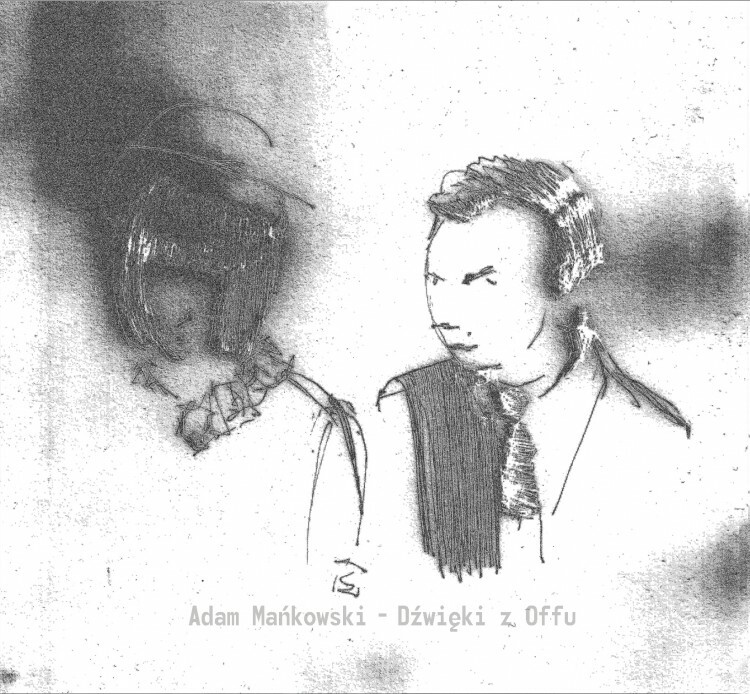 Especially since trip hop's history already has a proven track record of sampling acoustic sources, adding beats to it and generating a cinema for the ears narrative music, then this is something that works well, for sure, as Mankowski does some great music, but following the path already laid out, which of course is fine thing to do. 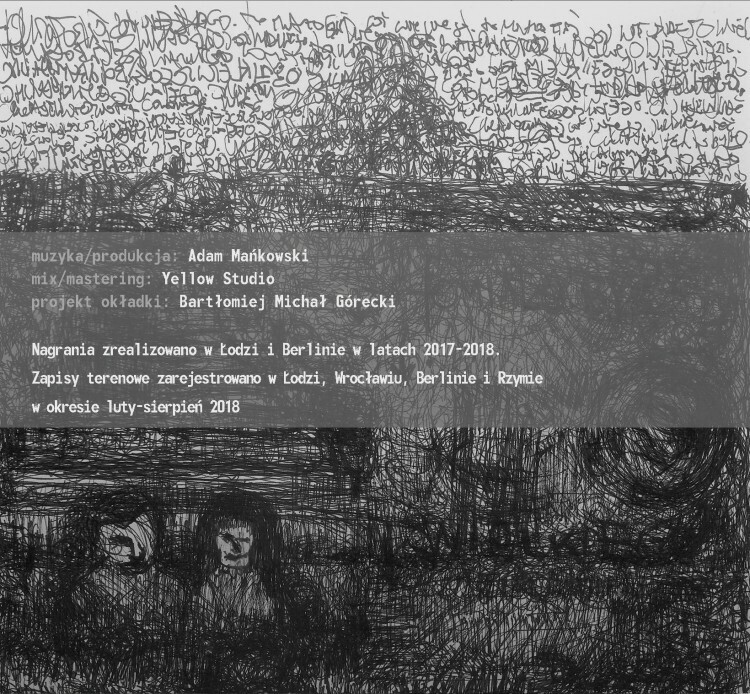 Adam Makowski is a sound artist and improviser which has an already considerable discography under the name Limited Liability Sounds but it's more or less unknown outside Poland. This seems its first release under his own name and it's something apparently along the path of certain minimal electronic music based on patterns and short samples but it has also melodic apertures based on traditional instruments as piano which removes a certain cerebrality to the framework. The first track of this release, "Bez wyjcia", is a quiet minimal track colored by small glitches and noises. "Milczenie i szaro" is instead reminiscent of classic avant-garde, that could be the source of a couple of samples including the chorus at the beginning of the track, as the fragmentation is only apparent. 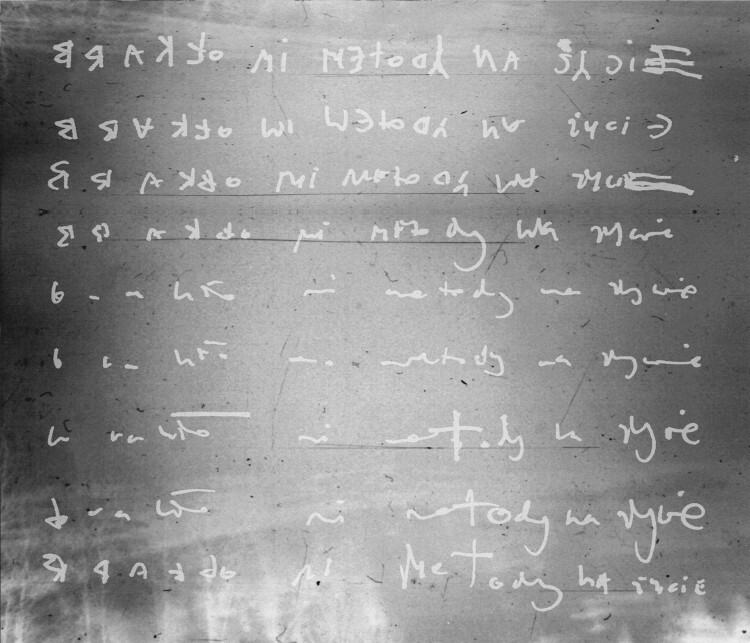 "Poranek" is centered upon a melodic loop upon an irregular noisy beat. "Tam bya mio" is suspended in his unresolved lines and "Portret" is apparently static until some sparse piano notes appear and "Serce Malisza" is hypnotic with his long tones and the final bells doubled by the piano. "Próba" uses the piano in either a classic way and as a sound source. "Mordercy i ofiary" starts quietly and ends noisy and "Niewidzialny ledczy" could be a modern classical piano piece if it wasn't drowned in a noisy environment. "Ona i On" closes this release in between between being a piano piece and a noisy experimental track. While he owe much to his influences which are clearly audible, he has so carefully crafted this release that it will be well received by all fans of IDM and minimal electronic music. It's worth a listen. Attenuation circuit is one of those small labels that still possess the spirit of true DIY music culture. It's truly open to new faces, there's plenty of enthusiasm involved and foremostly, staying away from the known names it shows great music. Approaching material by Adam Mankowski, I tried not to read the liner notes. The idea of paying a tribute to "Na wylot" creator Grzegorz Królikiewicz doesn't necessarily speaks to me as it's very idiosyncratic and hermetic, in other words - quite interesting as a piece of Polish cinema but emotionally leaves me indifferent. It's very cinematic, very much ambient in an experimental way transposing field recordings into somewhat interesting textures. Great aspect of it is its narrative - the grainy maestry of it pushing the boundaries of not a very easy path of minimalism that can lead to the point where it's just plain old repetitiveness. Adam definitely knows how to do it. The grey matter of the substancethat is diluted here to the level of an amalgam is the key here. There is no lead, no particular track I could mention that takes a role of a main one. It's better to listen to it as a whole.